Home › Diary of an in-house translator › Is it more difficult to translate technical texts or common words? I found myself having to translate several texts coming from very different areas this week: from pharma patents to medical device hardware and very imaginative journalistic texts. Which one did I prefer? Well, many buyers of translation services may think that “technical translations” are more complicated as a challenge because they deal with difficult concepts and highly specialized machinery, equipment or concepts. But really, and I guess most of my translation colleagues will agree with me in this, terminology is key here for a translator. Language tends to be fairly controlled in technical translation, whether they are pharmaceutical, engineering, electronics or automotive translations. The challenge for a translator is always to use his or her “translation brain” in creative, imaginative translations which need to convey the spirit of the original but that they are not a word-for-word translation. So, there were some new and challenging jobs this week. In one, I had to familiarize myself with several medical terms which I offer below to novices in the field. 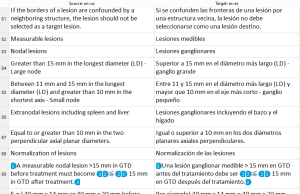 The interesting bit here for translators who have not dealt with medical terms before is the fact that “node”, which they will be used to translating as “nodo” in so many technical applications is the little fatty tissue called “ganglio” in Spanish. I will write more about approaches to technical translations in future posts. I also came accross a very common word in English “cranky”, which I had to translate into Spanish in several different contexts. “Irritable” tends to be the most direct translation, but English also has the same Latin-based word “irritable”. Meanings overlap. So, I found a solution in using “malhumorado” or “estar de mal humor” when the original English says “cranky” or “to be cranky”, particularly when it comes to describing the mood babies are in when they become restless. “Malhumorado” in Spanish is literally “bad tempered” or “in a bad mood”. Close enough. You could do this in a technical translation! !